The use of paper for the right reason is here to stay. So what are the right reasons for your purposes? Getting people in the door for the first time? Having an old customer or visitor come back or call for something you offer? 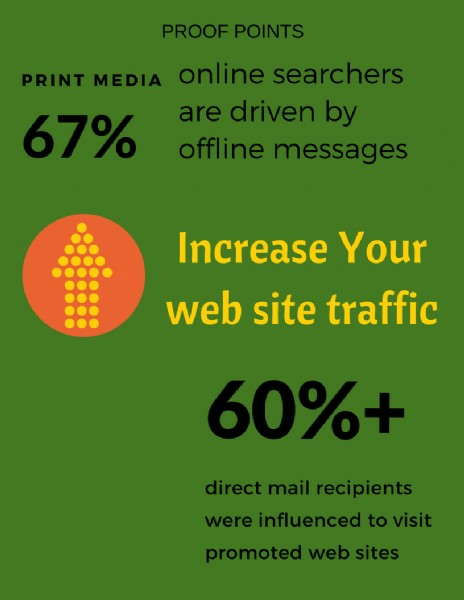 Increase your success with targeted print messages cross-promoting your Digital Presence. Increased success will be acheived with high quality print brochures and in many cases coordinated direct mail. Check out these proof points and let us develop the most cost-effective print campaign for your budget and increased success.